Want To Change Your Work Industry? Here Are 5 Booming Sectors!! Home > Blog > Blog > Want To Change Your Work Industry? Here Are 5 Booming Sectors!! Are you feeling frustrated due to a low going career growth and want to change your industry. Well! There are two ways you can come out of this situation either you switch to a job that market exceedingly demands or else upgrade your skill set to have one that’s highly sought after in the market to get promoted through internal job posting in your company. There are a myriad of sectors that are booming high you only need to acquire the relevant skill set to fine-tune your career with them. Here we have five dynamic sectors of business that are booming high for you to opt any one according to your interest. With millions of people using internet all across the world, Digital marketing is sure to hold the position that it has. 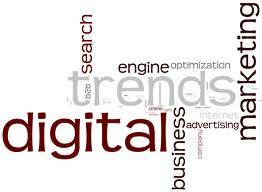 As far as digital marketing is concerned it is defined as marketing over the digital devices. With the increasing number of people using digital devices it is understood that how important and greatly sought digital marketing has become. Digital marketing is supposed to be the highest recruiting industry for next five years. The most remarkable point is that it is the part of every industry be it a textile industry or an electronic industry or what so ever. Everybody needs effective digital marketing to reach to their potential customers before their competitors reach them. Besides it provides you with a more advanced and result oriented marketing. Hence to add a bedazzle to your profile you can have an effective digital marketing training. To get the internet marketing training you can contact Delhi School of Internet Marketing as it offers an all-in-one full-fledged course in Digital marketing for working professionals. Like digital marketing, animation and graphic designing has captured its space in every industry. Whether you are an interior designer or an architect or whatever, you need animation and graphic designing to present a demonstration of your product to your clients. Ideally speaking animation has left nothing that’s untouched. If you are a simple graduate or running your own business, a relevant training in animation and multimedia is surely going to help you in great way. Even if you want you can switch the line of job as demands for a good animator or a graphic designer is increasing day by day. There are so many institutes like MAAC, Arena, ZICA and so on offering distinguished courses in these subjects. Same goes for fashion designing as well. This is an industry that’s booming like anything. 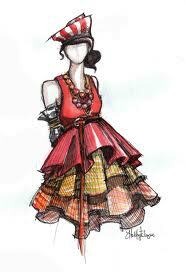 You never get to look back if you have the potential to survive in the field of fashion designing. Whatever you are a simple graduate or a working professional if you have the potential to become a fashion designer, then it means a lot for you. There are so many institutes like Nift, Pearl, IIft and others which are offering some wonderful courses in fashion designing. 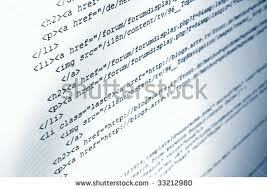 Software programming needs not any explanation as all of us know how its demands are increasing day by day. Besides, new languages are coming day by day and the industry requires people who are well versed with these languages. For instance, the most recent requirement that it has is the professionals who are well versed with python, which is a programming language. Indian Institute of Astrophysics, Bangalore is offering tutorials on Python. Those who are tech savvy or technically sound can surely go through various software programming training program to acquire the required skill set and succeed in this field. One more industry that is not going to fade even till the eternity is the human resource. Be it any field or any line of business, you need an HR for sure. Every company has an HR department. Whatever job you are doing you can always move to HR in your line of business if you have the relevant certification as in acquired the relevant training in human resource. Let’s say you have done a very good professional course but still struggling to get a good position in your line of business you can for sure go ahead and get a certification in human resource and can move your career ahead. 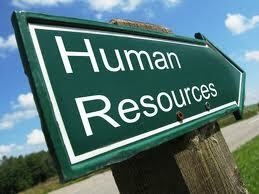 HRCI and Asia Webmedia HR Management are some of the institutes institute offering courses in human resource. Depending on the level and kind of your profession that you are practicing and your interest you can opt for any of these sectors, take the relevant training, enhance your skill set and move your career ahead. This is how you can transform the dead-end of your career into all so ever booming one.